Free travel is an incredible benefit to those who own businesses. Most of my points have come from business cards. If you own any size business, you HAVE to read this! 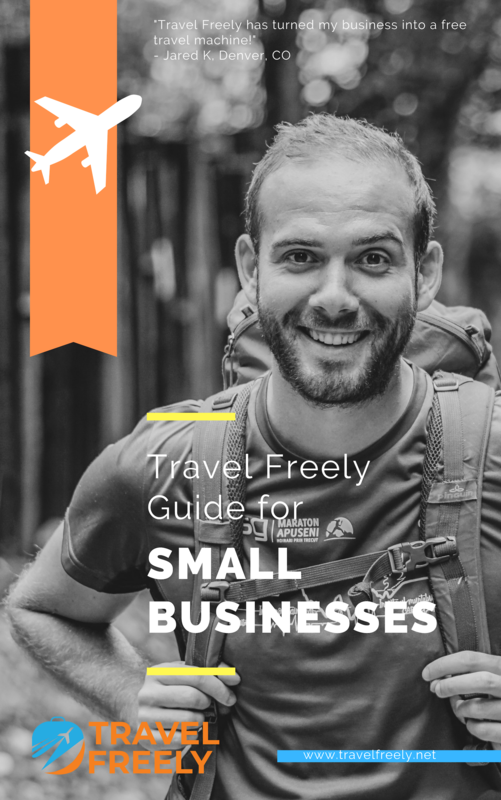 Written by Travel Freely Founder Zac Hood, who has earned over $45,000 in free travel. His Travel Freely software has helped hundreds of business owners. Quit wasting time with the wrong cards. Learn about the very best business cards and bonuses for free travel. Before you’re done reading, you’ll have a plan to rack up thousands in free travel in as little as 20 minutes per month.